Barron's Educational Series, 9780764167256, 32pp. 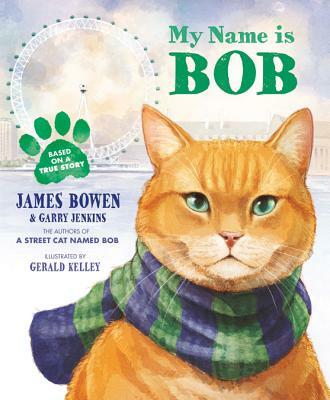 James and Bob are the best of friends--everywhere James goes, Bob the cat goes with him. But life wasn't always so happy for the scarf-loving tabby. In My Name is Bob, we learn what Bob's life was like before he found James. After his world was suddenly turned upside down, Bob found himself living alone on the street. His search for a new home ended when he met James, a street musician who needed Bob just as much as Bob needed him. Both children and adults will love this story of true friendship and second chances. A moving and uplifting tale (tail ) that will melt your heart.